“This valley is ours.” For the moment. It takes a special kind of lowlife to tomahawk a woman. “They’re better off without you.” Ha! Chisolm eats a deer’s heart. Iron rich breakfast. “Consider this a recall.” Ha! “Statistically speaking, they should’ve hit something.” #ChrisPratt’s comedic timing is impeccable. The “poking and sticking” scene is hilarious. “I’ve always been lucky with one-eyed jacks.” Yeah! Final analysis: a decent remake of the 1960 film and its #Kurosawa antecedent. Rating: 3 out 4 stars. 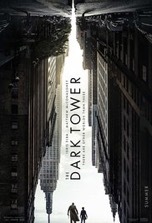 Formulaic, but still enjoyable with some great action and non-stop humor. 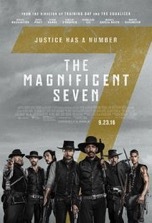 Based on the 1960 classic Western of the same name—which itself is based on the Japanese film Seven Samurai (1954), directed by Akira Kurosawa—The Magnificent Seven is an adequate remake of the seminal tale of a group of misfits defending a terrorized town from a land-grabbing lowlife and his posse of thugs. Barring a few minor variations, the new Magnificent tracks closely with the storyline from the 60s film and is a crowd-pleasing, yet safe, follow up. 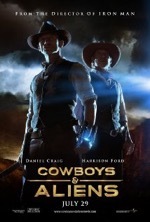 In the leading role is Denzel Washington, who plays Chisolm, the counterpart to Yul Brynner’s Chris Adams. 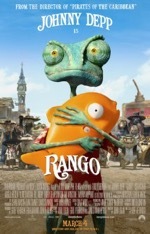 Whereas Steve McQueen played the sidekick role with a sense of humor as dry as the original’s dusty desert setting, Chris Pratt’s cardsharp serves as a joke-a-minute funnyman in the new film. Ethan Hawke’s reluctant gunfighter mirrors Robert Vaughn’s shell-shocked sharpshooter, while Byung-hun Lee’s laconic, knife-throwing assassin resembles James Coburn’s similarly drawn character in the vintage version. Similarities between new/old members of the ragtag team diverge at this point with the diversity award going to the new film for including a black, a Mexican and a Comanche (along with an unofficial eighth member in the spirited widow, played by Haley Bennett) in the titular septet. 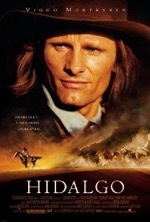 Eli Wallach (in brownface) played the Mexican heavy, Calvera, in the 60s version, but here, Peter Sarsgaard plays the stone-cold Caucasian villain, Bartholomew Bogue. Another story deviation from the 60s movie, which was set mostly in Mexico, is that all of this film’s action takes place north of the border. The movie’s sets, props and costumes are all period appropriate, as would be expected, and the southwestern landscapes (shot in Arizona, Louisiana and New Mexico) are simply gorgeous. My one critique of Antoine Fuqua’s (who previously worked with Washington and Hawke in 2001s Training Day) direction is that he doesn’t give the establishing shots enough time to “breathe” before rushing off to the next bar fight or shootout. Okay, so I lied, I do have another issue with Fuqua’s helming, namely the blurry fight scenes. For his action sequences, Fuqua uses the same handheld camera with rapid-fire edits that you’d see in a blockbuster action film…and the results are nausea inducing. Not only is this brand of action scene anachronistic for the film’s milieu, but it may prove annoying for many non-gamers or anyone over 40. Still, the multi-vantage melees are spirited, fun and don’t overstay their welcome…much like the film itself. 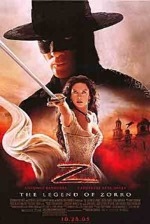 Although the movie’s linear, cause and effect narrative is predictable from start to finish; it delivers enough thrills and laughs to keep the audience engaged throughout. Though it fails to live up to its name, the new Magnificent isn’t a bad way to spend 90 minutes. Now it’s time for this review to ride off into the sunset. Happy trails, partner! “Keep breathing.” Beats the alternative. Never seen a river flow through trees like this. Phantom arrows and friendly fire...they don’t stand a chance. That #BearAttack is one ferocious sequence. Leo might be wounded, but at least he has a #BearBlanket. “Save your boy with a blink.” Intense scene. God is a squirrel. Now I’ve heard it all. Leo eats that fish #Gollum style. Glass goes where the buffalo roam and the skies are cloudy all day. “Your body is rotten.” Thanks for the compliment. Silly Leo. Horses don’t fly. Glass does the old #Tauntaun trick with his dead horse. It doesn’t smell good, but it’ll keep him warm. Beautiful shot of the #Avalanche. Final analysis: a cinematic masterpiece with a wholly immersive sense of place. #AlejandroGInarritu has done for mountain forests what #DavidLean did for deserts in #LawrenceOfArabia. Rating: 4 out of 4. A classic tale of revenge with superb acting by #DiCaprio and jaw dropping cinematography. Ordinarily, a movie with liabilities like a dearth of dialogue, cursory character development and a standard cause-and-effect narrative wouldn’t be considered for Oscar’s top prize. But The Revenant isn’t an ordinary film. 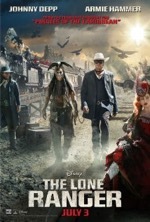 A good portion of the film’s success derives from its acting, particularly from Leonardo DiCaprio and Tom Hardy, who play diametrically opposed forces in a revenge yarn set during the frontier period. 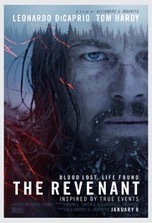 While Hardy is sufficiently loathsome as the movie’s treacherous antagonist, DiCaprio steals the show with a finely nuanced and physical demanding performance as Hugh Glass, a fur trapper with a half-breed son from his deceased Pawnee wife. Considering the high degree of difficulty inherent in this role and the fact that he’s long overdue for a win (5 previous nods), DiCaprio appears to be a shoo-in to snag the Best Actor Oscar, which would be justly deserved. Domhnall Gleeson and Will Poulter also turn in noteworthy supporting performances and the grizzly bear, played by Glenn Ennis in a blue suit, gets props (two paws up) for a solid assist. Another key ingredient in the movie’s winning formula is Alejandro G. Inarritu’s peerless direction; the film’s tone and visual style are directly attributable to Inarritu’s exceptional skills as a film craftsman. Inarritu has evoked incredibly visceral performances from his actors and has done so with minimal takes in arduous outdoor conditions. Having already won Best Director and Best Picture last year for Birdman, Inarritu seems poised to carry away another armful of statuettes at this year’s Oscars. 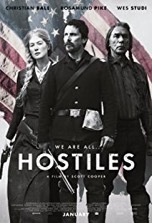 Acting and directing aside, the production element that has elevated this film above the extant exemplars of woodland Westerns is the utterly mesmerizing lensing by cinematographer Emmanuel Lubezki. The movie’s dizzying array of POV shots, long takes and elaborate tracking shots have combined to form a type of visual poetry. The variety, complexity and audacity of these filming techniques, which effectively transport the viewer right into the middle of the action a la a FPS video game, is nearly unrivaled in cinema history (the only films that even come close are Peter Jackson’s Middle Earth trilogies, but those movies employed far more CGI). Whereas a director envisions a shot and the cinematographer frames it, the locations create the look and mood of a film. As such, the reason this film will go down as a masterwork of visual expression is its locations and the exquisite manner in which they were captured—the avalanche scene, filmed in a real-time one take, is a jaw-dropping achievement. Since the vast majority of this movie was shot on location (almost exclusively in the Canadian Rockies), the exteriors play a crucial role in creating the illusion of reality that moors the viewer to the milieu in palpable ways, wholly immersing them in this savage chapter in American history. The movie’s location scouts did a phenomenal job of discovering picturesque vantages and pinpointing the perfect setting for each camera setup, so kudos to them for their pioneering (sorry, couldn’t resist) work on this film. If you can get past its occasional brutal passage, this movie is a singular experience that far transcends the highest aspirations of the quotidian film in its genre. Which is to say, The Revenant is a cinematic marvel. Go see it or I’ll sick the bear on you.